KEY LARGO, Florida, USA (March 30, 2015) – Holiday Diver, Inc. (HDI), the parent company of Divers Direct is proud to announce they have reached an agreement to acquire Ocean Divers in Key Largo, Upper Florida Keys. Ocean Divers operates the largest fleet of dive charters in Florida from their own dock and facilities near Divers Direct’s large dive store in Key Largo. Ocean Divers also operates a PADI Career Development Center, training scuba diving instructors for recreational and tech diving courses. Ocean Divers also leases some of its property to tenants including NOAA, a restaurant-bar and a hyperbaric chamber. Subject to due diligence, the deal is expected to close on June 1, 2015. Current owners Joe Clark and Robert “Doc” Schweinler are planning a well-deserved retirement after many years of dedication to scuba diving in Key Largo. They started Ocean Divers in 1975. “We’re extremely happy to hand over the reins to Divers Direct. They’ve been good neighbors in Key Largo for over 30 years and we trust them to take care of our customers while bringing Ocean Divers to the next level” says Doc Schweinler. HDI plans on continuing the operation of Ocean Divers as a separate entity from its 6 large Divers Direct retail stores operating throughout Florida. 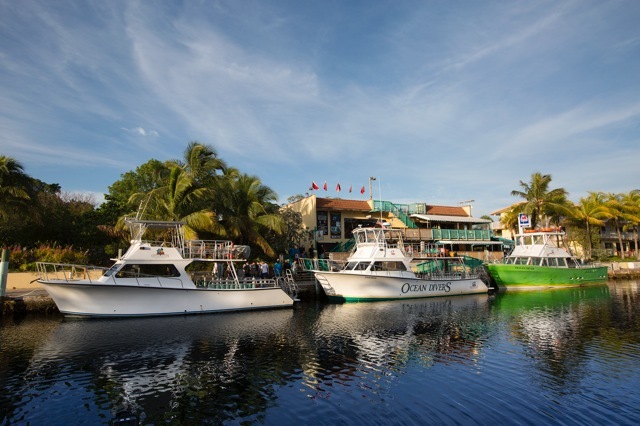 This announcement comes less than a week after HDI announced the acquisition of Pirate Island Divers, a dive resort operating from the Key Largo Bay Marriott Beach Resort. Darcy Kieran is a PADI Course Director, EFR examiner, tech diving instructor trainer, PSI instructor, and DAN examiner. He had years of experience managing a PADI Career Development Center before joining Divers Direct in 2013. Holiday Diver, Inc., started as a dive charter in Key Largo 30 years ago but soon switched to operating dive retail stores with the first one being located in Key Largo. Today, HDI is the largest retailer of dive gear in the world with 6 large retail dive shops in Key West, Key Largo, Miami, Fort Lauderdale, West Palm Beach and Orlando. The gear up experts at Divers Direct provide equipment to scuba divers, snorkelers, freedivers, spearos, swimmers, boaters and beach bums in Florida and around the USA through diversdirect.com.